SPAIN may not have won the Eurovision song contest or managed to form a government (yet) but when it comes to sun, sea and sand we have got it covered. We welcomed a staggering 68.1 million tourists last year, boast 686 blue flag beaches and ports – eight more than last year – and 321 sunny days each year. With that in mind, this summer is set to be the busiest on record. However, a murkier truth threatens to muddy Spain’s crystal clear waters – literally. 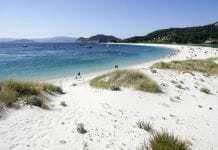 Because green group Ecologistas en accion has unveiled the nation’s 47 ‘black flag beaches’. The latest report, ‘Black Flags 2016’, names and shames the most polluted and the worst managed zones in each coastal province. It reveals that oil spills, dumping, industrial estates and waste are the biggest dangers to the coast. 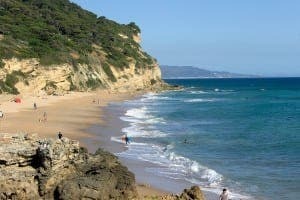 Ecologistas has also slammed the blue flag system, branding it as ‘unrealistic’ and pointing out that the European Environment Agency (EEA) criticised 58 of Spain’s beaches last month. “The EEA says Spain is the third country with the most areas not fit for swimming in, after Italy and France, and when the body called for 34 swimming areas in Europe to be closed, 31 of them were Spanish and mostly Galician,” says the study. While almost 700 bathing zones are lauded with blue flags, is it time we sat up and started taking the black flags seriously too? 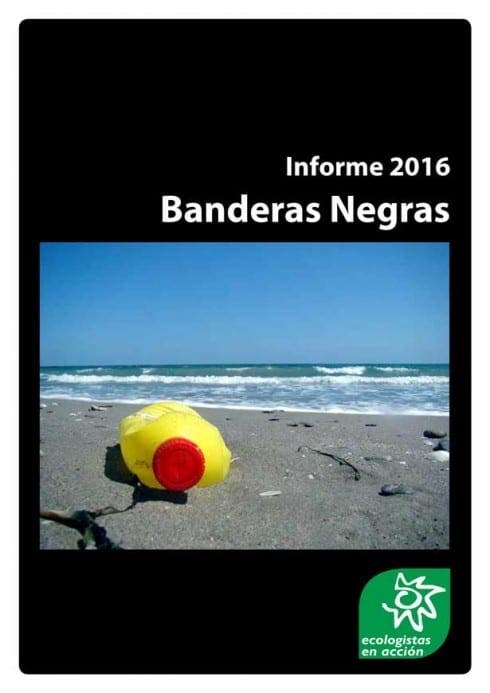 BLACK flags were ‘awarded’ in Almeria, Cadiz, Granada, Huelva and Malaga provinces to a total of 10 beaches or areas. Shockingly, on the Costa de la Luz, the sandy paradise of Canos de Meca was revealed to be highly polluted due to untreated sewage and no water supply network. 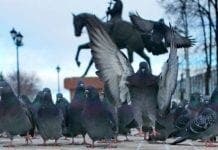 The group put this down to ‘bad management’. Projects in the Bay of Gibraltar such as the Rock’s eastside development and bunkering were also slammed as causing ‘dangerous’ levels of pollution, not forgetting the stream of ‘untreated sewage’ pouring into the sea at Gibraltar’s southern tip, Europa Point. 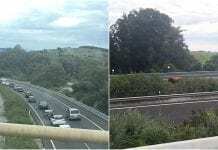 In Malaga, the report condemned ‘decades of pollution’ in the Artola Dunes – also known as Cabopino – between Marbella and La Cala. “We are seeing real damage to the wildlife and existing plant life in the Artola Dunes coast path and action needs to be taken,” read the report. A large section on Marbella also highlights ‘destruction’ due to the development of the coast path which the Junta hopes will soon lead all the way from Manilva to Nerja. 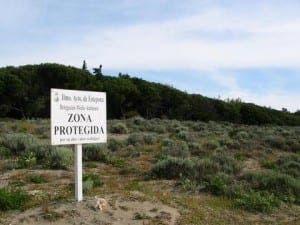 And the group called for the ‘highest possible protection’ for Matas Verdes, a rare green patch of Estepona at risk of being developed. In Malaga province, three Mijas beaches including Penon del Cura were mentioned because of ‘no urban plan’ and erosion from the coast path. In Almeria, the Carboneras coast received a black flag ‘because of construction, dumping and emissions from cement works’, thanks to the infamous Algarrobico Hotel. Meanwhile Granada’s beaches Pozuelo in Albunol and Playa Granada in Motril were flagged up, the former for rubbish and pollution and the latter for bad management with storms removing sand and chiringuitos likely to be ‘soon swept off by the sea and weather which were only just built within the regulations’. 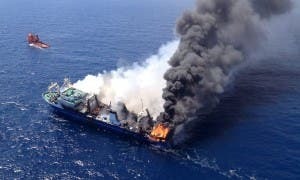 THE Canary Islands suffered a horrific spill from Russian fishing boat Oleg Naydenov which took fire with 1,400 tons of fuel aboard on April 11. 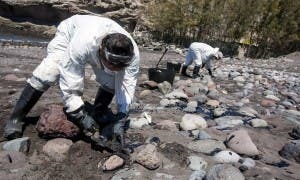 Workers collected more than 120kg of thick fuel off the beaches of Gran Canaria in the first week after the accident alone and Maspalomas Beach is still polluted today as a result. 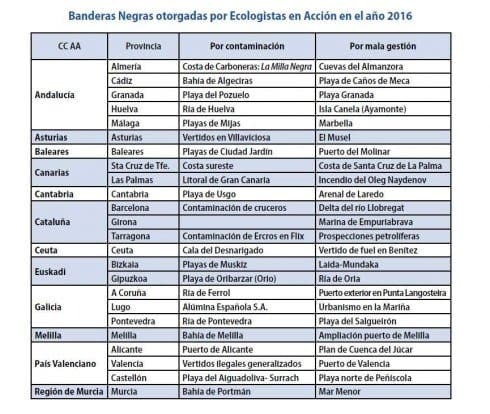 There are ‘waste dumping problems’ in the ports of Alicante and Valencia, as reported by residents associations of Valencia. Tarragona was flagged up for ‘highly toxic waste’. The Flix reservoir has been damaged by the toxic chemical industry and Ecros company plant in particular for more than a century of dumping sludge. A €200 million cleanup was awarded in 2008 but Ecologistas en Accion denounced Ecros last year for ‘possible fraud in the Flix reservoir cleanup’. The beaches of the Balearics were labelled ‘full of all sorts of rubbish’ with Ciudad Jardin in Palma given a flag.